 Only "email service" delivery is free shipping. (the outside targeted for comfort tomorrow) cannot bundle it. There is addition of the postage. 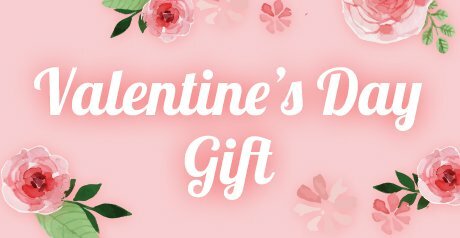 In the case of "home delivery," I add limit ⇒ postage + area charges 300 yen in sending it to [Hokkaido, the Tohoku district]. Full scale size ※Size is horizontal placing exact size size of the sample. It may be different from the notation of the tag. As it is cloth for texture such as the suit, there is no elasticity. ◆The completion of the good quality coordinates that only perform coordinates of a plain inner, and are high sense! Depending on coordinates, I can mix-and-match it in a long season. As for the V neck, a blouse or the knit turtle are excellent at an affinity, too! 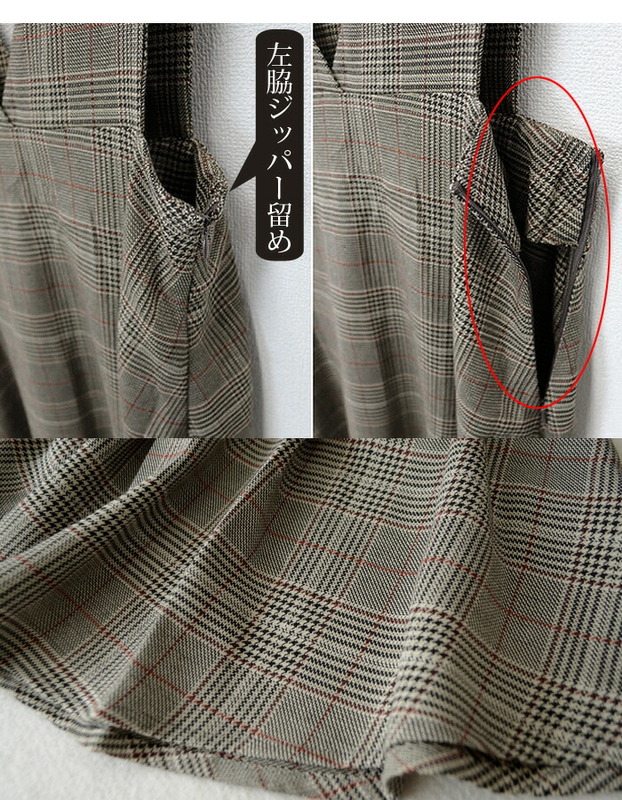 ※As the shoulder string of the V neck is around 32cm, it is a chest bottom and the middle position of the waist. 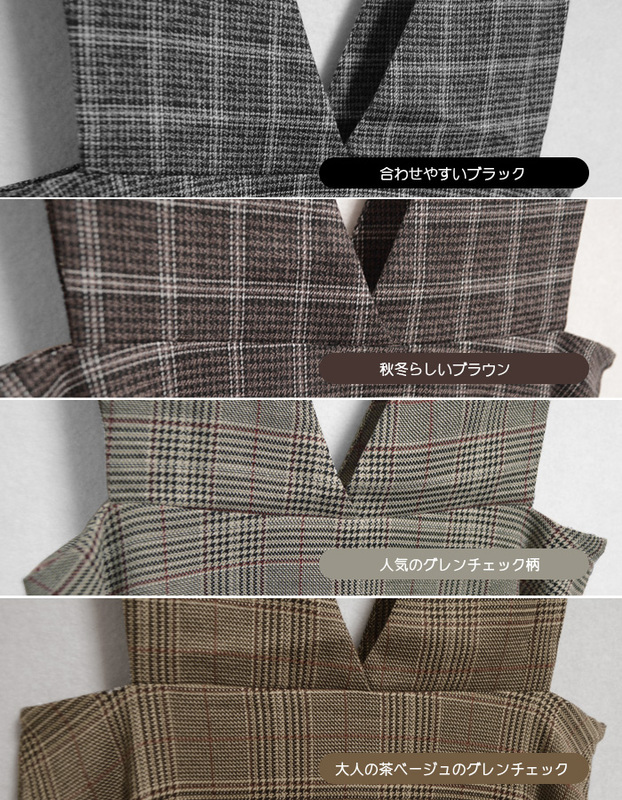 Color ◆The general glen plaid with the line of gray ... orange. There is not strongly the yellowishness; at twilight time ivory close to light gray. 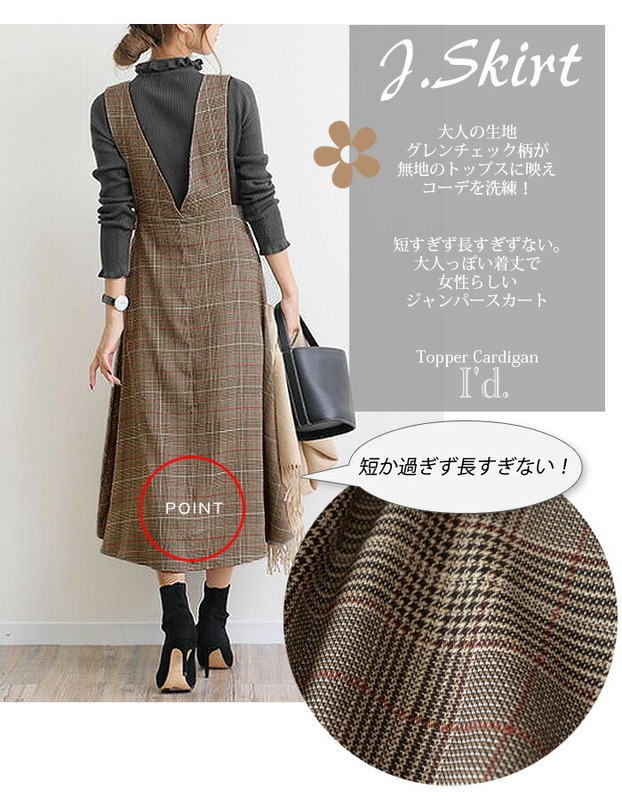 ◆Beige ... yellow brown system beige. 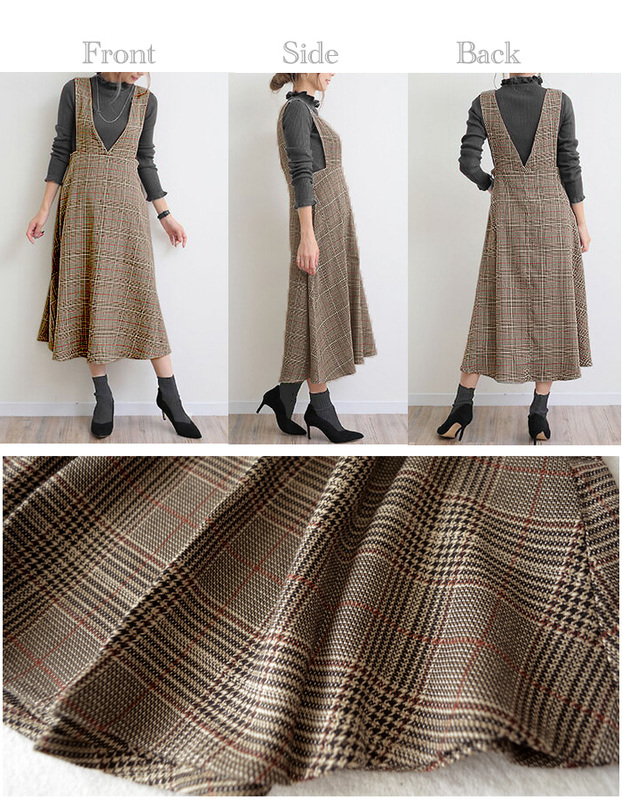 For the lovely mature coordinates that light beige and the off-white knit match in glen plaid of Orange Line. 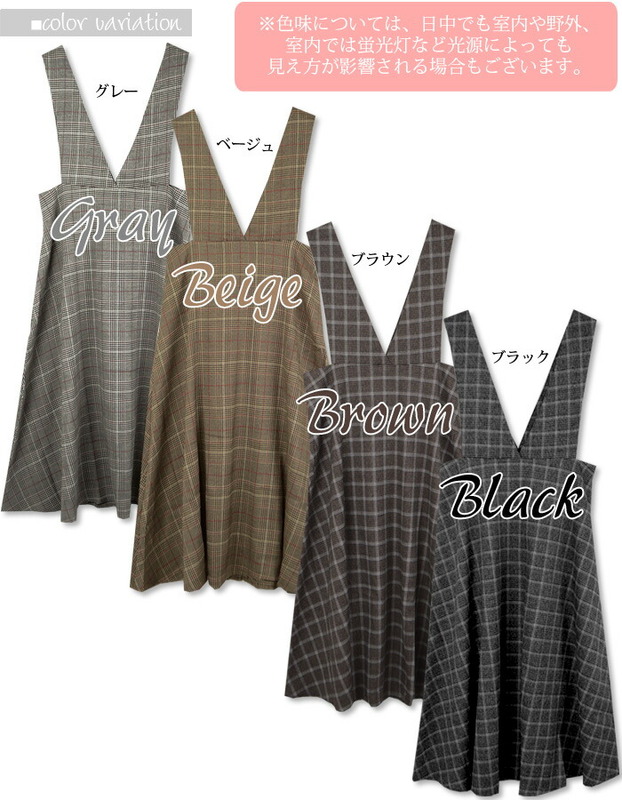 ◆In dark brown of the brown ... cocoa system, it is the checked pattern of the lattice pattern type. It is easy tea system. 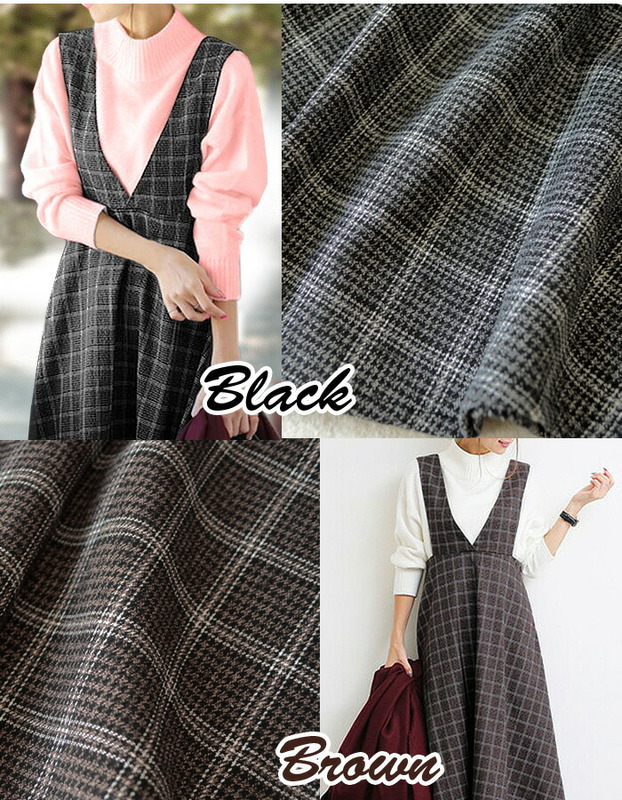 ◆The checked pattern of black ... lattice pattern type. As it is easy to put the black which is a monotone together with a feeling of tightening, I seem to be useful. It is the color that black taste is not strong, and is easy to perform coordinates with a color of the white. 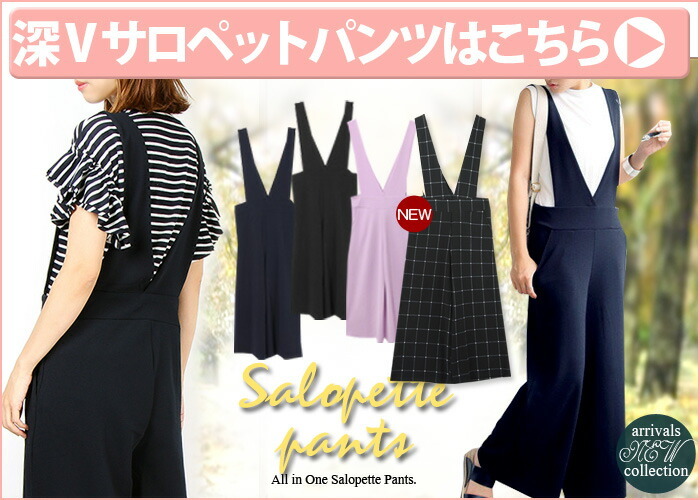 ※Please make much of width of the body, shoulder strap length. [attention] When there is it more than under the bust 75cm, I do not enter. The feel of texture of adult who is not a print. ※Color taste may be displayed with the smartphone tablet vividly densely. Color taste is different with a model that you are watching. ◆The general glen plaid with the line of gray ... orange. There is not strongly the yellowishness; at twilight time ivory close to light gray. 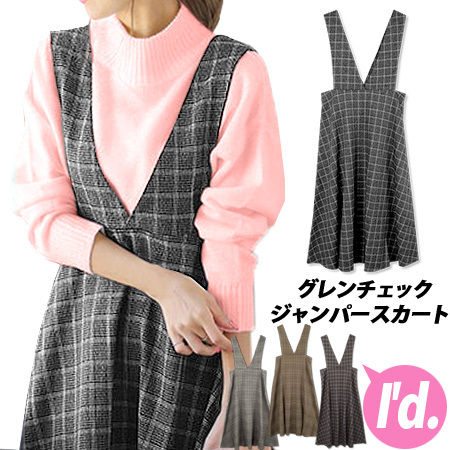 ◆The checked pattern of black ... lattice pattern type. As it is easy to put the black which is a monotone together with a feeling of tightening, I seem to be useful. The color that there is not a black strength and is easy to match with a thread of the white. ※The real color taste changes in the vanity color under the influence of the indoor fluorescent lamp color and Japan and China source of light in environment. 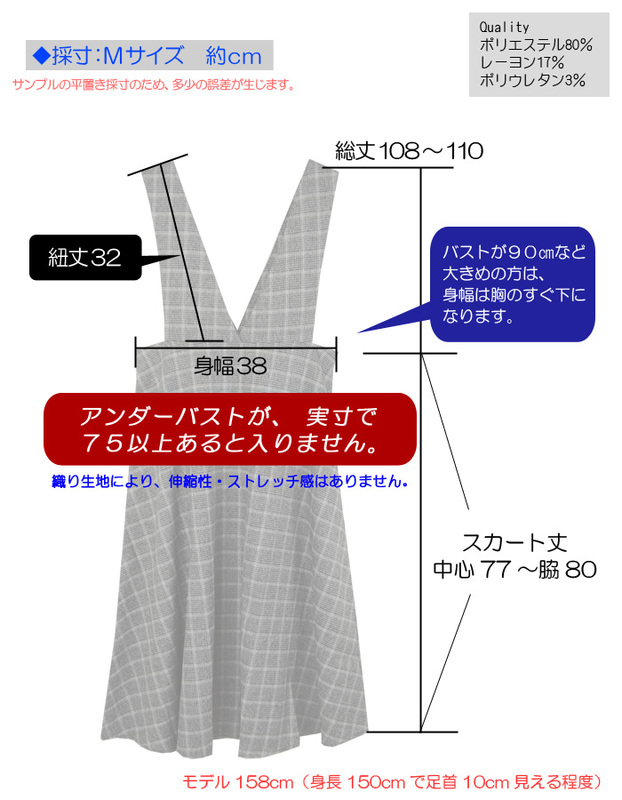 ※Width of the body M38 is not waist size. It is the trunk width size in the chest bottom.※Please refer to a measuring image for the detailed size. [attention] ※When there is under the bust more than full scale 75cm, I do not enter. 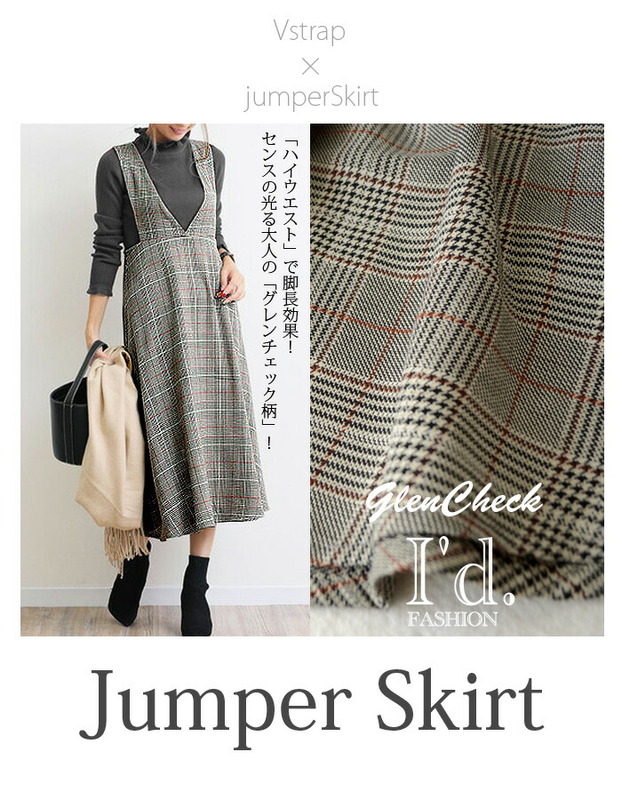 ■As is the material which is refined with cloth for texture, do dressy knit and blouse and coordinates; and for commuting and outing, a date. 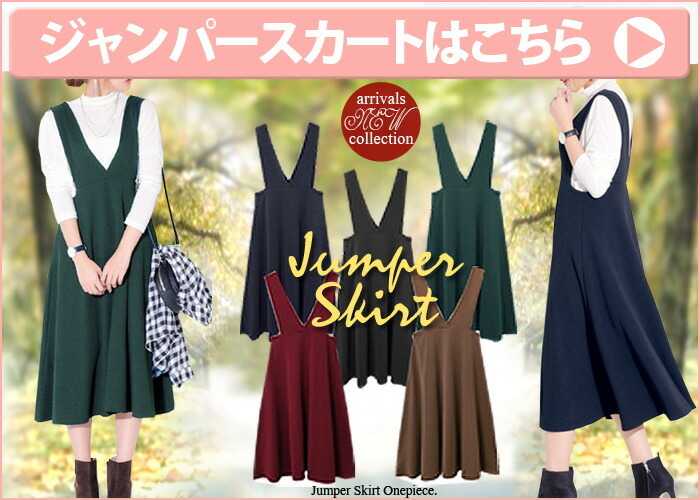 It is jumper of the flare of the beautiful silhouette with a feeling of omission in A-line. Is easy to match the adjustment of the string with a figure; and イィ! 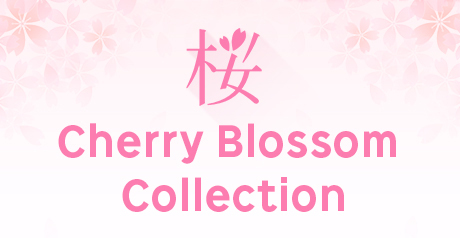 It is easy to wear a feeling of soft cloth and is comfortable. [news] there is no elasticity. Please be careful about width of the body size enough.